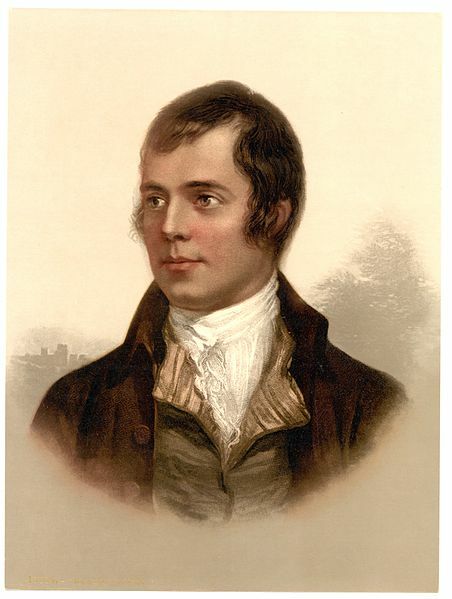 Since 1801, the fifth anniversary of his death, 25 January has become synonymous with the poet Robert Burns, widely regarded as the national poet of Scotland and celebrated worldwide. One of the lesser-known aspects of Burns’ life is that he almost moved to Jamaica to become an overseer; his tumultuous relationship with ‘ungrateful’ Jean Armour also attributed to his resolution to sail as an emigrant to Jamaica. This might be news to some, but there are long and deep links between Scotland and the African diaspora. Actually, Scotland’s flag—the Saint Andrew’s Cross, or saltire—inspired both the battle flag of the Confederate States of America, a racially divisive and provocative symbol, and Jamaica’s flag post-independence. The Dictionary of Caribbean and Afro-Latin American Biography suggests it is in Jamaica that we can find the strongest links between Scotland and the African diaspora. By 1774, approximately one-third of Jamaica’s white population were Scots, with strong concentrations in the rapidly developing sugar parishes of Trelawney and Westmoreland. While some owned plantations, Scots were disproportionately influential as attorneys, overseers, and doctors. One legacy can be seen in the many Jamaicans with Scots names. Take, for example, the surname Gordon: we see individuals such as Jamaican national hero George William Gordon, Victoria Cross winner William James Gordon and microbiologist Lucinda Eulalee Gordon. By the 1770s, Scots were beginning to question their country’s role in the slave trade. Joseph Knight was born in Guinea, enslaved, and sold to Jamaica as a child, then brought to the Ballindean estate in Perthshire, Scotland, as a favored house servant by his owner John Wedderburn. Knight was baptized and taught to read and write, but fell afoul of his master over his relationship with a white fellow servant, Ann Thompson. When they married in 1773, Wedderburn fired Thompson. Knight ran away with her to Dundee, where he sued for his freedom. Although the local justice of the peace sided with Wedderburn, in 1774 the sheriff of Perthshire declared “that the regulations in Jamaica concerning slaves do not extend to this Kingdom” and Knight was a free man. Wedderburn appealed, but Scottish miners raised money to support Knight’s case, seeing parallels with their own recent struggle for emancipation. In 1778, the Court of Session in Edinburgh upheld the sheriff’s ruling that Wedderburn could not return Knight to Jamaica, thereby marking the end of slavery in Scotland. Image Credit:“Portrait of Robert Burns, Ayr Scotland” from United States Library of Congress’s Prints and Photographs division. Public Domain via Wikimedia Commons. William Davidson, born in Jamaica around 1780 to a white father and a black mother, was sent to Edinburgh as a young man to study law. Davidson later studied mathematics at Aberdeen University before arriving in London, where he worked as a cabinet maker, converted to Wesleyan Methodism, and was active in radical circles. In 1820, he was executed for his role in the Cato Street Conspiracy to assassinate Lord Liverpool’s cabinet. Arrested, Davidson was led away singing Burns’ “Scots Wha Hae!” with the immortal lines, “By oppression’s woes and pains! By your sons in servile chains! / We will drain our dearest veins, But they shall be free!” It is a sentiment that the poet Maya Angelou, another Burns devotee, affirmed nearly two centuries later. The first African American with a professional medical degree, James McCune Smith graduated from Glasgow University in 1837 after being rejected from Columbia University because of his race. Fifteen years later, Henry Highland Garnet, Smith’s classmate during his pursuant studies at New York’s African Free School, worked for the United Presbyterian Church of Scotland as a missionary in Jamaica. In 1834, the British government finally released 800,000 people from their servile chains. By then, the Scots’ investment in slavery was significant. The Centre for the Study of the Legacies of British Slave-ownership at University College London estimates that approximately half of the £20 million disbursed by Westminster stayed in the United Kingdom. Scotland accounted for 15% of these compensated absentees and annuitants, though Scots were only 10% of the British population at the time. The current president of the United States—and son of a Scottish immigrant—might be interested to learn that his recent discovery, Frederick Douglass, took his name from a Scottish knight in Sir Walter Scott’s “Lady of the Lake.” The nineteenth century’s leading black reformer also chose Robert Burns’s Collected Poems as the first book he purchased on becoming a free man. Addressing a Burns Supper in his home city of Rochester, New York, in 1849, he declared, “Though I am not a Scotchman, and have a colored skin, I am proud to be among you this evening. And if any think me out of my place on this occasion,” (pointing at a picture of Burns), “I beg that the blame may be laid at the door of him who taught me that ‘a man’s a man for a’ that.’” Whether Douglass knew that Burns once planned a sojourn to Jamaica to work as an overseer is unknown. Featured Image Credit: “National flower” by MonicaVolpin. CC0 Creative Commons via Pixabay. Steven Niven, of Harvard's Hutchins Center for African and African American Research, is Executive Editor of the African American National Biography, the Dictionary of African Biography, and the Dictionary of Caribbean and Afro-Latin American Biography.